MANILA - The Liberal Party is urging Agot Isidro to run under its senatorial slate in the 2019 mid-term elections. However, the actress doesn’t seem too keen about it. 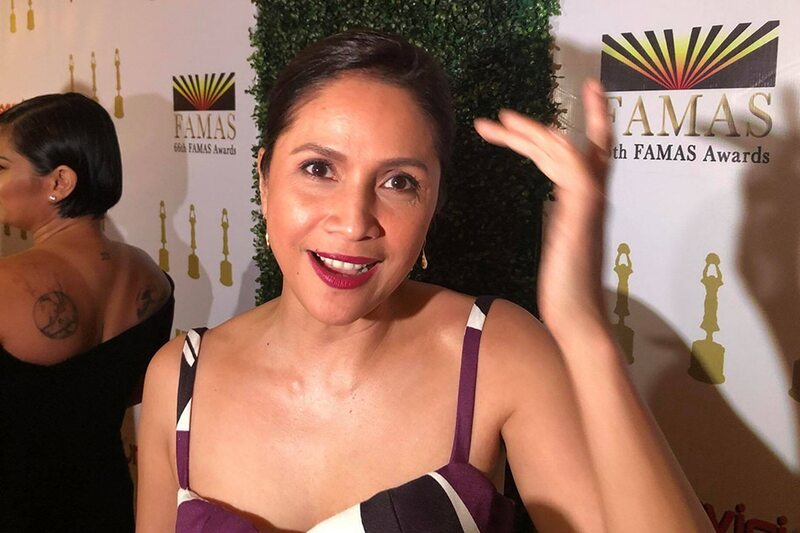 In an interview at the sidelines of the 66th FAMAS Awards on Sunday, Isidro said show business is already complex as it is, and she doesn’t want to complicate her life further by joining politics. Despite saying this, Isidro is not closing any doors as of the moment. “Hindi natin alam. Pero this is where I am right now,” she said. Isidro is a known critic of President Rodrigo Duterte. She once called the president a “psychopath” for his tirades against the United States and the European Union. As a consequence, Isidro has gained quite a number of bashers on social media, especially those who are loyal to Duterte. “It’s part of it. If you speak out, of course you are inviting that resistance also. If they are on that side, they have us. So sila meron ding resistance. Ako rin, may ganun. I would think I have a lot of bashers pero keri ko naman yun. Hindi ako masyadong affected,” she said. “I believe in my principles. I stand by my principles. No one is paying me to do it. This is all me. Prinsipyo ko 'yun eh,” Isidro added.